The one set sold here on TSG was to me. I've recently gone Seven MCB. So I'm willing to part with these at almost half-price. The 5-iron is unused. The rest are lightly used. 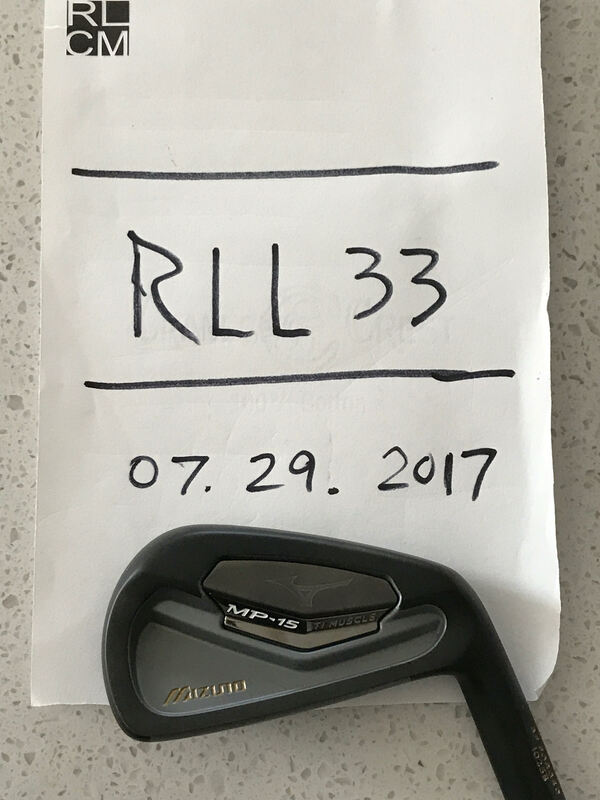 Two clubs in the set -- the 8-iron and the pitching wedge -- have unfortunate sand scratches in the black IP finish on the sole (pics below). The rest are perfect. All grooves and club faces are perfect. Beautiful. How do these feel and play compared to the Mp5 Yoro? These feel more BMW to the Yoro's Mercedes, Ian. The pop when they're hit on the sweet spot is so pure. Very long and lasting sensation. Like more road feel but with big muscle and tech behind it. I assume that's the Titanium in the muscle. I let a 2-HC friend hit one on a Par 3 with his normal club choice, and he hit it over the green and down a hill bank, and he lost the ball. He's a blade user, and he said he never felt a sweeter impact. Until I tried the MCB, I agreed.